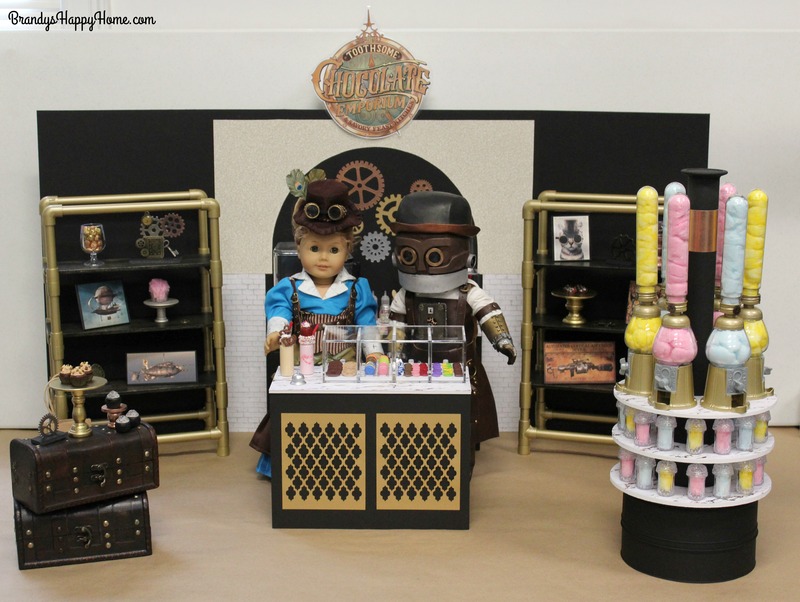 You are here: Home / Doll Room / Toothsome Chocolate Factory for Dolls! My daughters and I are so excited for this next Series of posts! Welcome to the Toothsome Chocolate Emporium for your American Girl dolls! This series of posts was inspired by a recent vacation to Universal Studios in Orlando, Florida. One of our favorite eateries was the Toothsome Chocolate Emporium! Not only was the food delicious and the milkshakes heavenly, but the steampunk décor was fascinating! I’ll show you in a series of eight posts how I DIYed these adorable scenes for our American Girl Dolls. A huge THANK YOU goes out to KeLibu Designs and Miniature Sweets for sponsoring this series. KeLibu Designs created the doll costumes and Miniature Sweets provided the supplies to create the sweet treats. You’ll be learning more about these sponsors in upcoming posts. 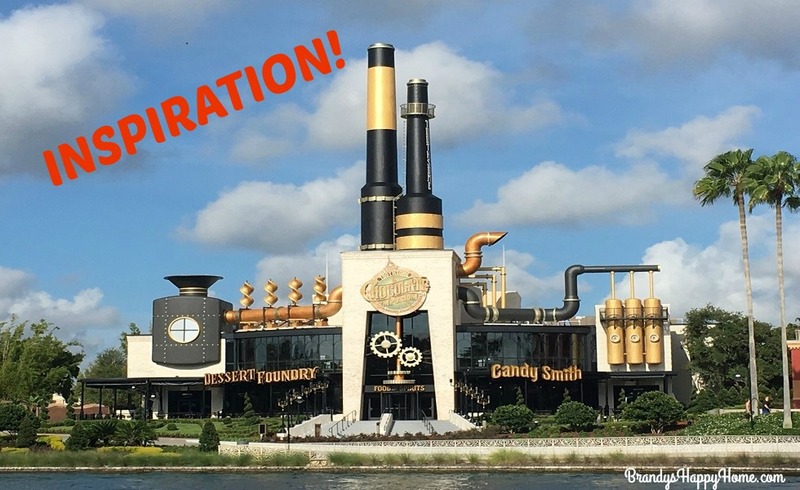 My family LOVED the Toothsome Chocolate Emporium! This Steampunk dream is an enchanting eatery topped with towering smokestacks and adorned with intriguing gizmos. It’s a fantastic feast for the eyes and the stomach. In this series you’ll meet Penelope and Jacques! You’ll find out how to create the emporium’s backdrop[, counters, and shelving. 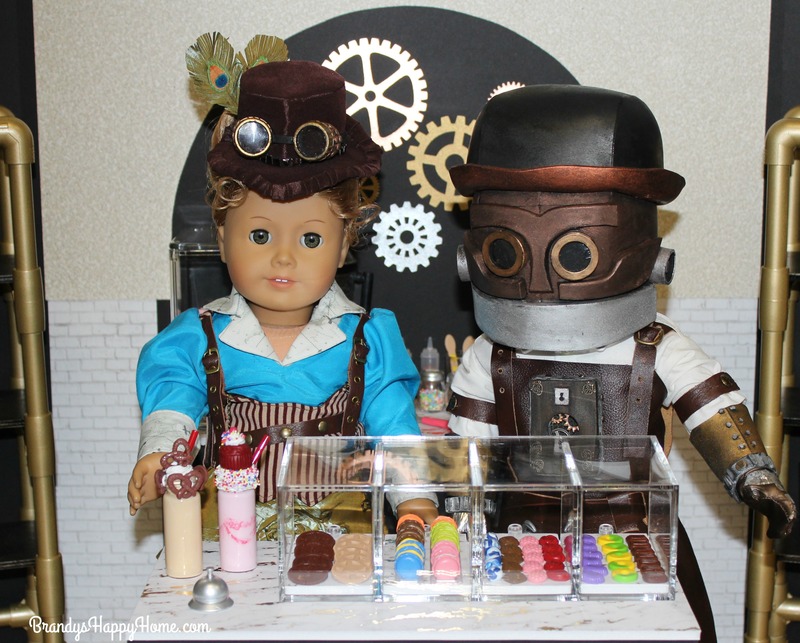 I’ll show you how I used polymer clay and deco-creams to create the doll sized chocolates, cookies, cupcakes, milkshakes, and sundaes. 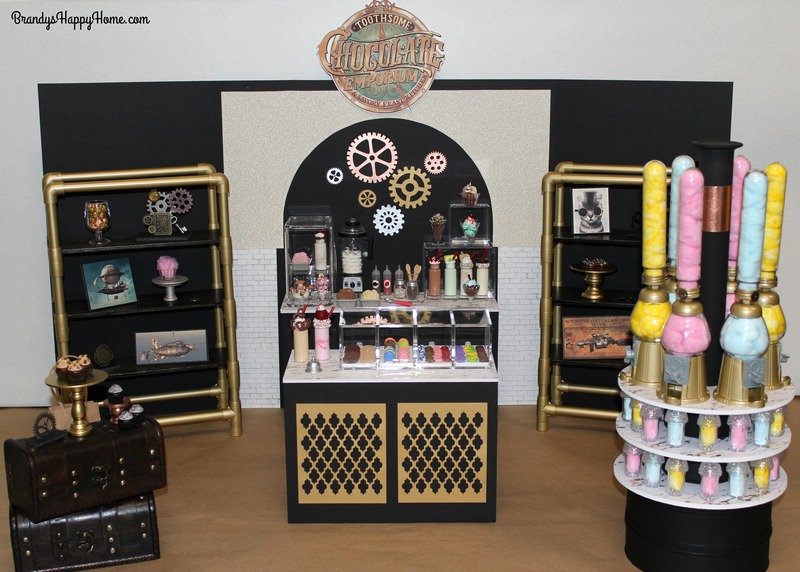 And last, but not least, I’ll show you how a recycled items it create the Candy Floss Machine… our steampunk and upscale version of a cotton candy machine. Here’s a sneak peak of what’s to come! I can’t wait to share with you the pictures that inspired these doll sized DIY versions. Penelope and Jacques can’t wait to meet you! 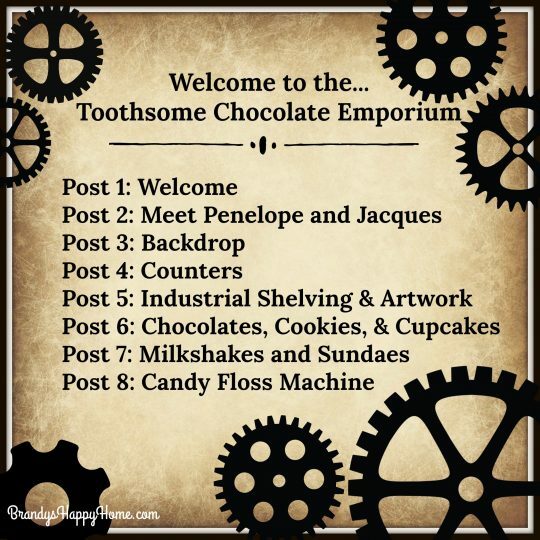 See here for more steampunk inspired posts: Toothsome Chocolate Emporium for Dolls! Previous Post: « The Sunshine Blogger Award! Oh I’ve always known I was born at the wrong time. I LOVE, LOVE, LOVE Steampunk . . . but people think 66 is a little late to the party – ggg So I will live through the dollies 😉 Keep up the incredibly great work!! Anxious to see all you’ll do. Thanks so much. Man, I am really looking forward to this series. I love Kelibu patterns and Miniature Sweet molds. Can’t wait. I’m looking forward to seeing more of this display. What a neat idea! I was hoping to click on the photos for a closer view. Thanks Dawn for your comment! I have updated the post so the images can be enlarged for better viewing. Can not wait for your pipe shelving post! I I am working on a coffee table with pipe legs with the help of my husband for my doll living room. Looks so fun! Looking forward to the series!